Hi again everyone, I hope you're enjoying my Blogmas series so far and if you've been here since the beginning, thank you for sticking with me and for all of your support. If you're new here, welcome - there's a lot more in store on Vanity Frills this month! 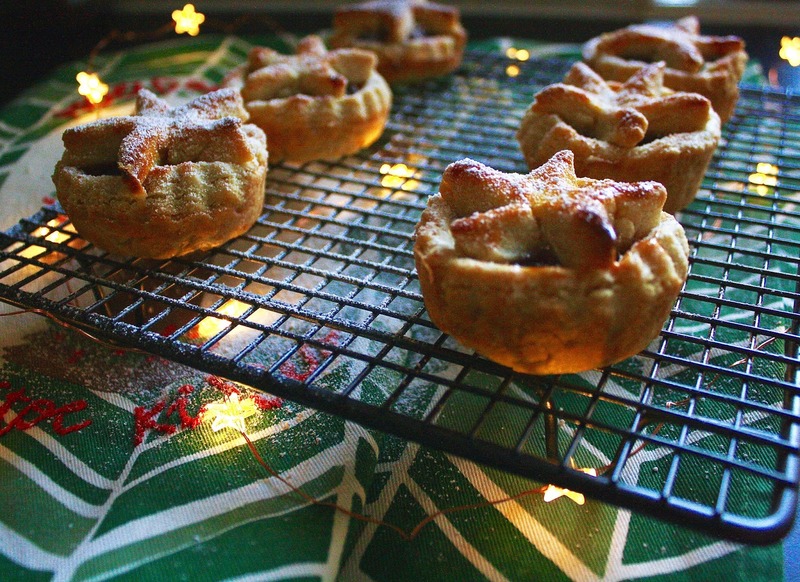 This month I have been all about baking and following on from how much I enjoyed putting together my 'Cinnamon Snowballs' recipe, I couldn't resist getting back into the kitchen to rustle up another festive bake, this time, to make a whoooole lotta' mince pies. Step one: Preheat the oven to 175°c. Step two: Sift your flour and salt into a bowl. 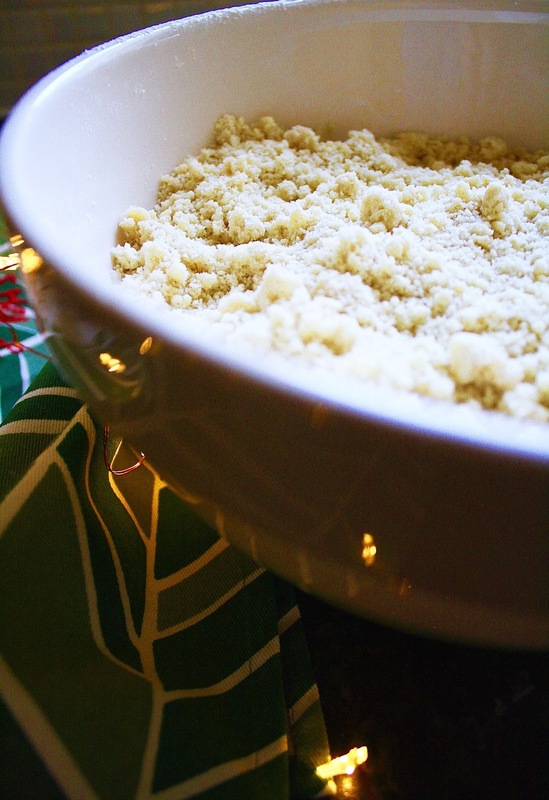 Make a crumb-like mixture by rubbing your butter gently into the sifted flour and salt using your fingers. Once you have a crumb-like consistency (as per the photo below), stir in your sugar and egg yolks and start adding your water, one tablespoon at a time. This will gradually make the crumbs form a dough. Carefully press your dough into a ball, clingfilm wrap it and pop it in the fridge for around 10 minutes to chill. 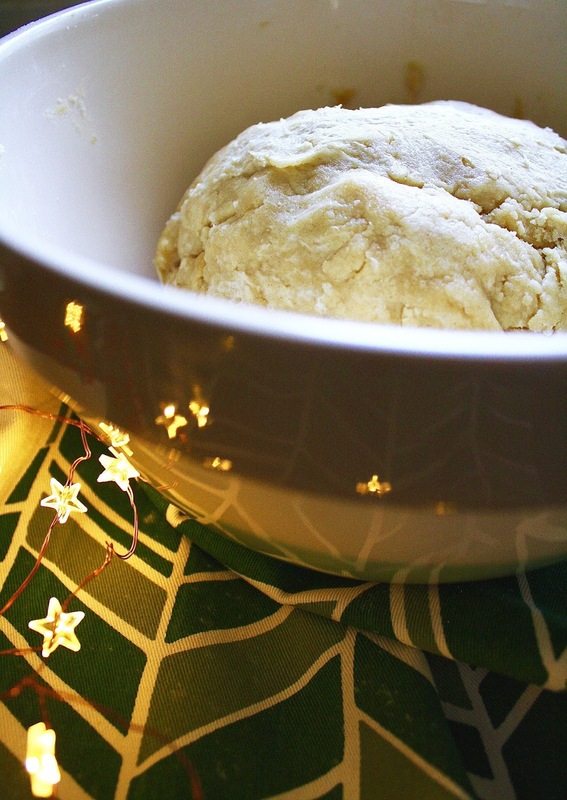 Step three: Now for the fun part, once your dough has chilled for around 10 minutes, it's time to roll it out with a rolling pin on a flour-dusted surface and begin cutting out your Christmassy shapes and bases. 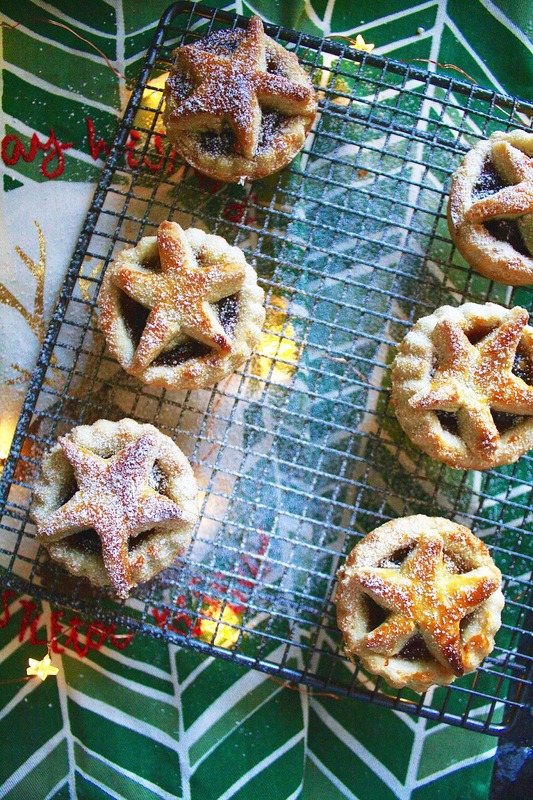 For me, the recipe made 12 mince pies, so I cut out 12 bases from the dough with a circular cookie cutter (with fluted edges for decoration) to fit my muffin tray and 12 matching star shapes for the toppers. I chose to cut my stars out freehand but if you have a small enough cookie cutter, you could use this instead for the toppers. Step four: With any leftover butter, grease your muffin tray ready for baking. 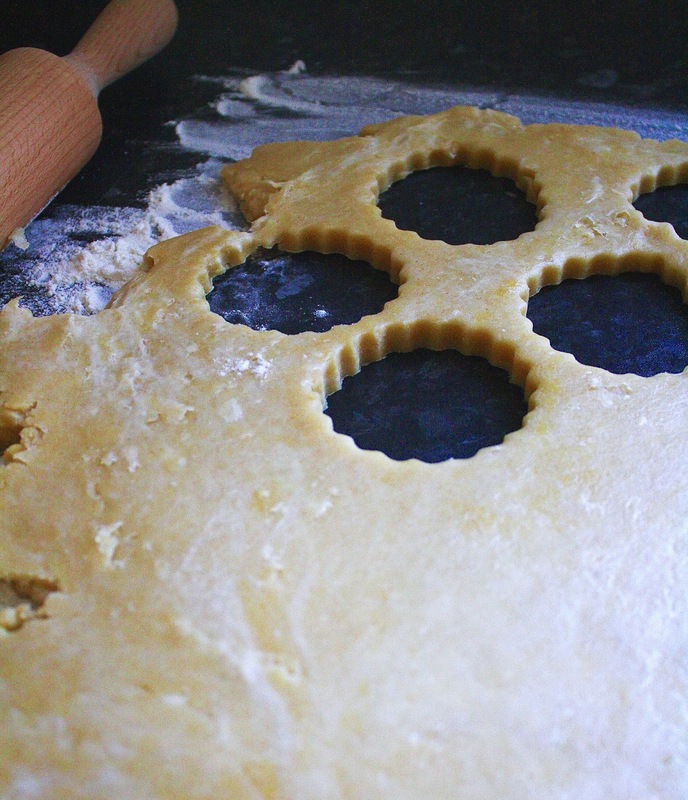 Once greased, gently push your fluted circle dough shapes into your muffin tray to form the base for each mince pie. You will want to ensure the sides of each base are high enough once pushed in to hold your mincemeat. 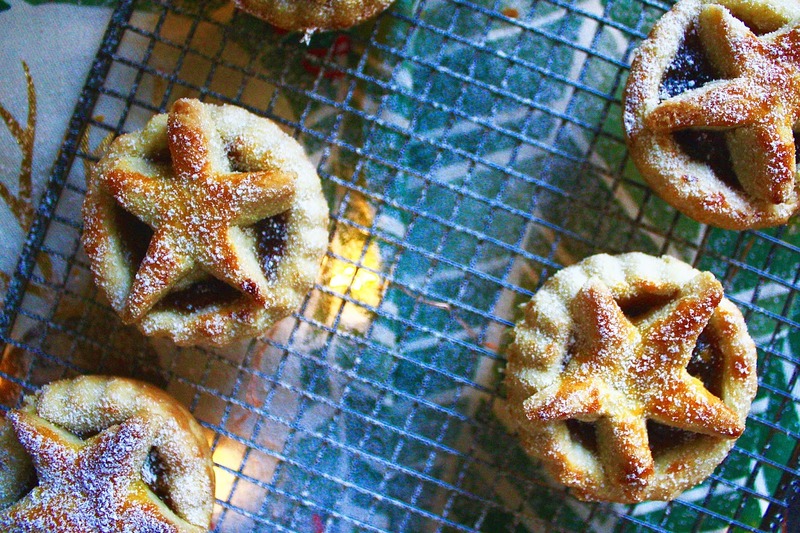 Step five: Once you have filled your tray with the bases, carefully add a spoonful of mincemeat to each portion and with your pre-cut Christmassy stars, prop these on top of each of the pies to act as a topper. Step six: To add a little colour to your pies, gently brush your remaining egg yolk over the toppers and fluted edges, to brown whilst baking. Step seven: Pop your creations into the oven and bake for around 15-20 minutes until the pastry becomes a lovely golden shade. Step eight (optional): Once your pies are cooked, you can either tuck in or add a little frosting to them for an extra Christmassy feel. I chose to sift icing sugar over mine to add a snowy touch before serving up. I am so happy with how these turned out and I can't wait to bake more on Christmas Eve to share with all of the family. All credit goes to Zoe for this delicious recipe and I'm sure if you decide to bake these, you certainly won't be disappointed! Aw, these look delish! Please send some out to India, I'm having mince pie withdrawal symptoms hehe! These just look so nice, and that recipe is so simple! I love the stars on top too, it makes them so pretty!